The title of this book is simply perfect. Fire burns and it consumes, and what is left is deadly; and, where we are now, the assassin and the traitor have been burnt away, and Celaena's true meaning remains. Yes, there are aspects of this book I didn't enjoy, yet I couldn't help but finish it smiling; for me, Heir of Fire represents everything this series is about. MY THOUGHTS: Where, oh where, to begin? Heir of Fire brought new faces – some of which I welcomed, some of which I did not – but it also brought new plot lines and a new depth to the tale. Sarah J. Maas, who has became an even more accomplished writer throughout the series, has not held back in the latest instalment. Rowan and Manon were two characters I enjoyed immensely, not only for their individual merits, but because they opened the gate for intricate and fascinating relationships to form as well as sturdy plot lines. Whilst there were characters I didn't enjoy (especially the changes made to one character), the potential of these new introductions has certainly made me excited. In short, the latest book in this trilogy is also the grittiest. 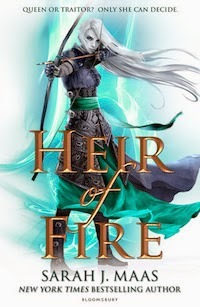 Heir of Fire pushes further than all the previous books in the series: more characters, more plot lines, more settings… and yet Celaena remains the beating heart of the tale. And, like always, she's truly, truly magnificent. How does one begin to review a book like Cloud Atlas? Should I review each plot line individually? Or should I review the book as a web of plots? Should I comment on each character? Or the cast as a whole? I've spent the last few days pondering this. Yet Mitchell's masterpiece is remarkable to the extent reviewing the book is nearly impossible. MY THOUGHTS: Perhaps the best aspect of Cloud Atlas is that it shouldn't really work. Six strung out story lines that connect despite spanning centuries? Yep, it really shouldn't work as a whole. And yet it does; the narratives are sewn seamlessly together whilst still maintaing their own, individual emotional threads. Furthermore, Mitchell does this all through magnificent prose that does not falter. My only complaint? It wasn't until I was a 100 or so pages I realised all this – in my eyes, it gets off to a rocky start. But, from then onwards, it really does flourish into something breathtaking. Both compelling and thought-provoking, and complete with a vivid, cinematic approach, Cloud Atlas is shamelessly captivating. A brilliant read for a rainy day. I'm speaking honestly when I say The Accidental really isn't like any book I've encountered before. Ali Smith's style is unparalleled in the literary world. And, once you stop wondering whether this novel is a work of art or just incredibly pretentious, you can appreciate it for what it really is: a brilliant, brilliant tale. The Accidental is the dizzyingly entertaining, wickedly humorous story of a mysterious stranger whose sudden appearance during a family’s summer holiday transforms four variously unhappy people. Each of the Smarts–parents Eve and Michael, son Magnus, and the youngest, daughter Astrid–encounter Amber in his or her own solipsistic way, but somehow her presence allows them to se their lives (and their life together) in a new light. Smith’s exhilarating facility with language, her narrative freedom, and her chromatic wordplay propel the novel to its startling, wonderfully enigmatic conclusion. MY THOUGHTS: The Accidental is not a welcoming read; it doesn't make it easy for the reader to enjoy it, at first. I even spent the first 50 pages wondering if it was going to pick up – yet, thankfully, it did. Ali Smith is one of those authors who reminds me why I love words so much. Her clever combination of prose and snippets of poetry is stunning. She just does it so well. 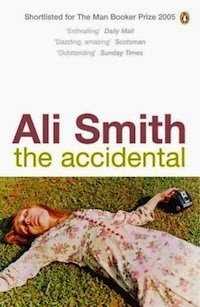 In all honesty, whilst I enjoyed the plot of The Accidental, anything could have been happened and Smith's writing style still would have had me hooked. This said, another brilliant aspect of The Accidental was in fact the characters; I adored all the engaging narratives – equipped with oddball thoughts and theories – as well as the fascinating relationships. Yes, The Accidental gets off to a rocky start, but from then onwards, it's fantastic. When I heard Marcus Sedgwick was writing an adult's book, I was intrigued to say the least. He's an author who has followed me through my childhood, and yet, despite this change in age group, is as good as ever; A Love Like Blood is as dark and thrilling as any of his previous books. The only problem? I expected more. MY THOUGHTS: In terms of pacing and tone, A Love Like Blood is faultless. Sedgwick can evoke such fear within the reader through a single sentence. This a real perch-on-the-edge-of-your-seat read, equipped with a dark streaks and a steady pace. However, this said, if you want a character-driven novel, look away now. And, surprisingly, I say the same for if you're looking for a plot-driven novel. Both, are not on the agenda. 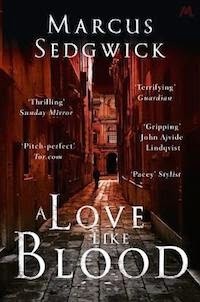 With most of Sedgwick's books, the plot is the real driving force behind the novel, yet, within A Love Like Blood, Sedgwick's trademark cleverly-crafted storyline is nowhere to be seen. In short, this book is neither full to the brim with complex characters nor meticulously plotted, but it's the definition of a page turner – and if that's all you're looking for, you're gonna love this. Have you read any of them? What did you think? Are you planning to read any of them? WHICH CHARACTER'S CHANGES DID YOU NOT LIKE DISCUSS THINGS WITH ME RUBY. Chaol. Also, not enough of Dorian (I mean, there was a lot but not enough). Also didn't reaaaaally like Sorscha (although THAT ENDING). But OVERALL I LOVED IT. 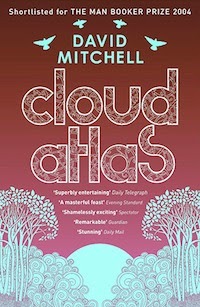 I want to read Cloud Atlas, I am waiting to watch the movie until I've read the book too. Usually I don't mind spoilers, but I'm pretty sure I would kick myself if I really knew what was going to happen with all of the alternative universes and characters!